Oysters & Bubbles at Ray’s Feb. 1-28! Enjoy perfect pairings of ice-cold oysters on the half shell with crisp sparkling wines from around the world at Ray’s Boathouse and Café from Friday, February 1-Thursday, February 28! Our local oysters are the most delicious in colder months when the water produces a really clean and bright tasting oyster. Choose from a rotating variety of local oysters served individually, by the duo, or as a half dozen with a special menu of sparkling wines available by the glass, half bottle, and bottle. Oyster varieties will be served on the half shell with red wine mignonette and pricing is $3.75 for one, $7 for two, and $20 for six. 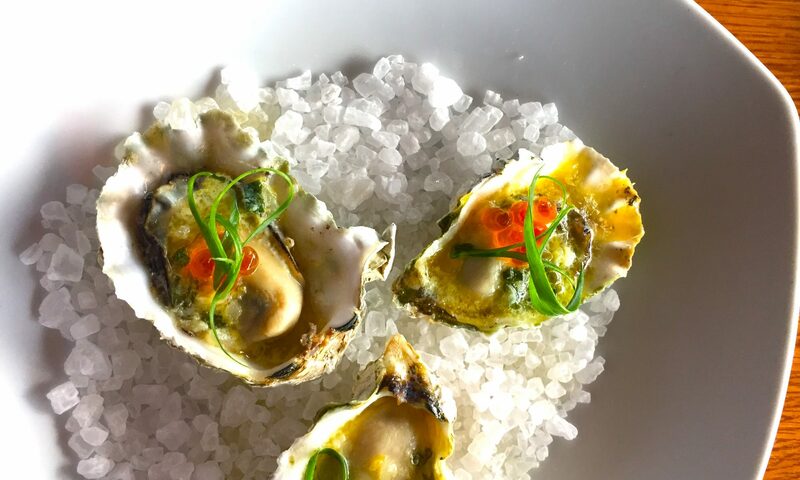 While oyster varieties will change daily, Ray’s Boathouse Wine Director Chip Croteau’s favorite pairing is the full flavored and hearty beach grown Miyagi oyster with the rich yet elegant barrel fermented style of Bollinger Champagne. Our Oysters & Bubbles menus are available daily from February 1-28 in both our main level Boathouse and our upstairs Cafe. Oysters will rotate daily and menus may change without notice. Reserve in the Boathouse or the Cafe today. Cheers!